The course will meet for one week and there is limited space, you must bring a laptop with wi-fi capability to participate in the sessions. Participation is required and no-recording of the session will be permitted. You must have basic computer skills we will teach the rest! TIPS for Child Care Institute is expanding the opportunity to participate in our training program. TIPS for Child Care Institute has been using a proven model of excellence while training providers and foster parents since 2003. As a TIPS Certified Instructors, our unique term for our TIPS early care and education trainers, you'll share the most trendy and knowledgeable child care training, theory in practice strategies, that is praxis based, highly engaging training labs and online learning environments along with, state of the art training technologies to providers and child care centers. 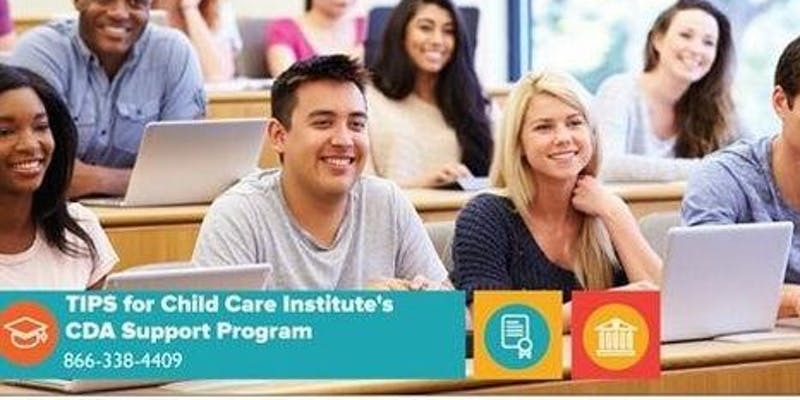 TIPS for Child Care Institute, Inc. is an international Cyber Vocational Institute that seeks to foster the development of early care and learning adult learners throughout their entire education. Our primary focus is to build competency and support international early care and education credentialing. Our teaching community is made up of a group of talented and creative professionals, who are passionate about creating the best Early Childhood Vocational School with a focus on Praxis Based strategies. TIPS for Child Care Institute, Inc. offers the tools and support necessary for our adult learners to reach their full potential. We adopt and implement the use of research and evidence-based course and framework into every instructional package. We hold our students to the highest standard of excellence, a TIPS Certified teacher has demonstrated mastery of early learning competence prior to applying for their Credential Status. Every student's process is manually reviewed with a dialogue of areas of strengths and improvement our instructors build and support them in maximizing their full professional potential. The program is a great addition to any Professional Development, Early Care and Learning Program, Home Economic, Home School, IB Board, Vocational, Cyber or Charter High School Curriculum.